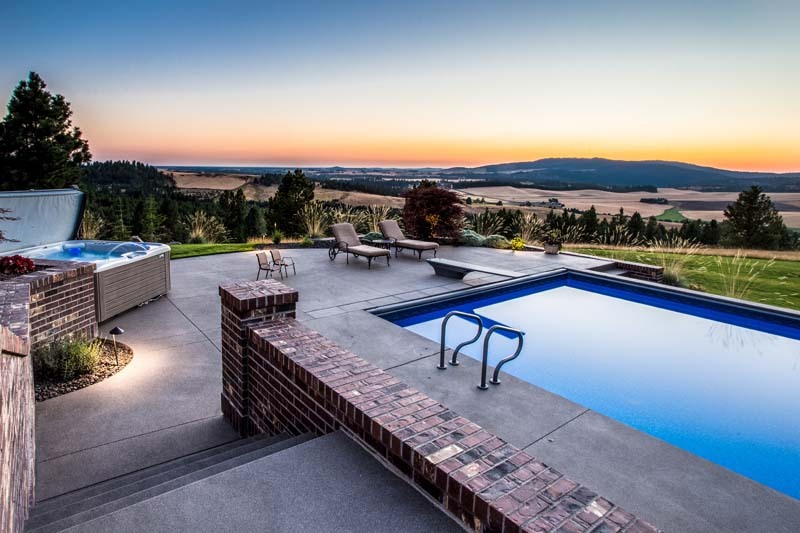 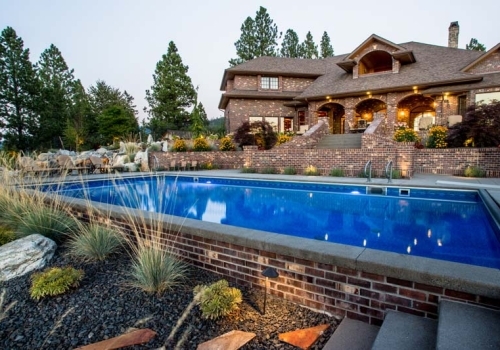 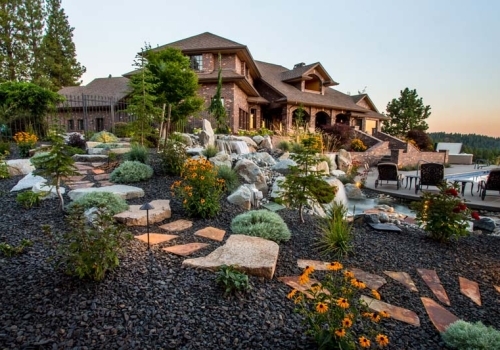 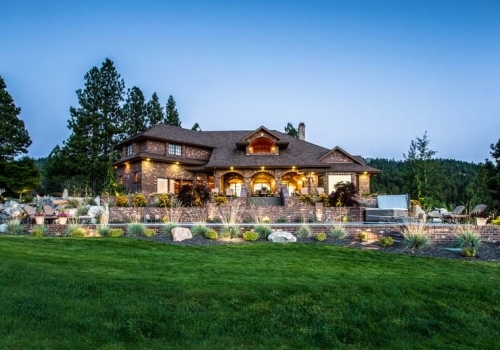 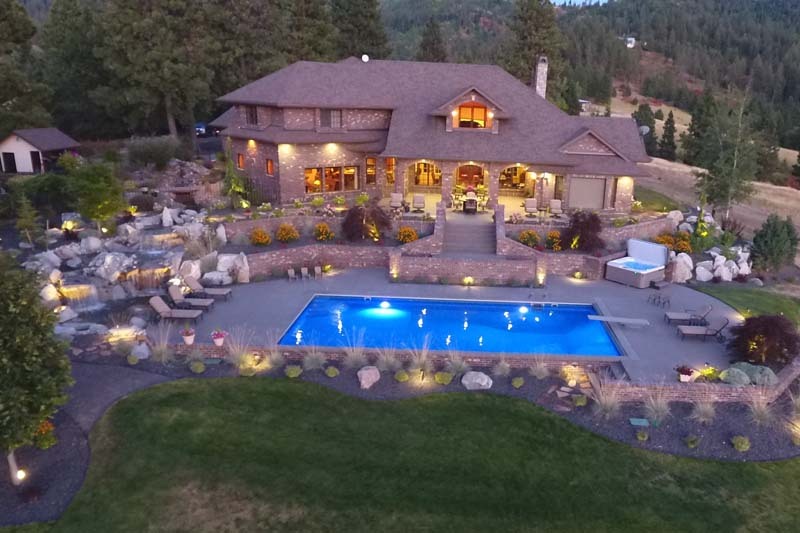 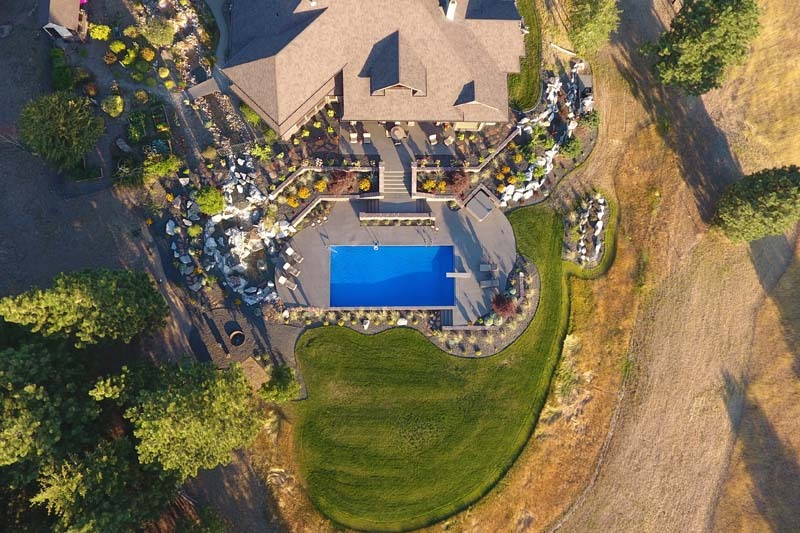 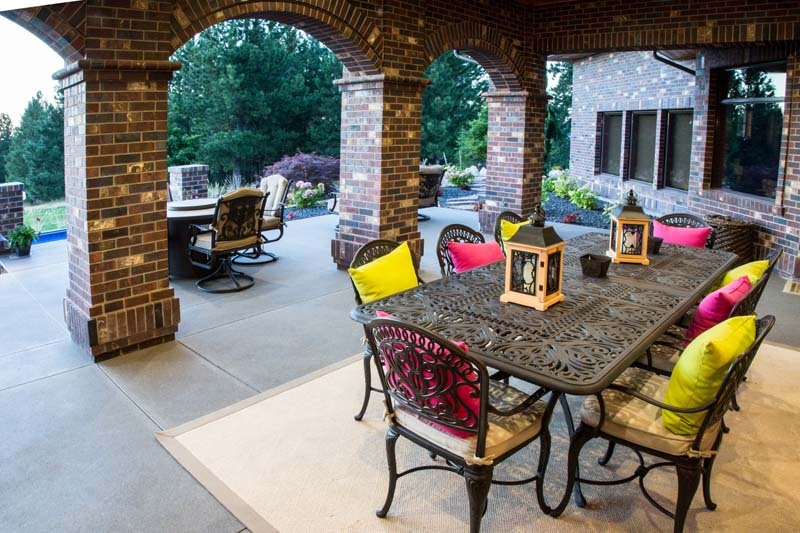 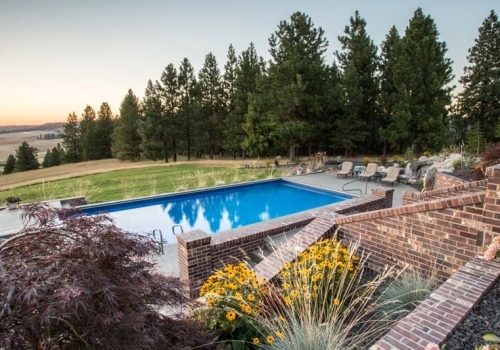 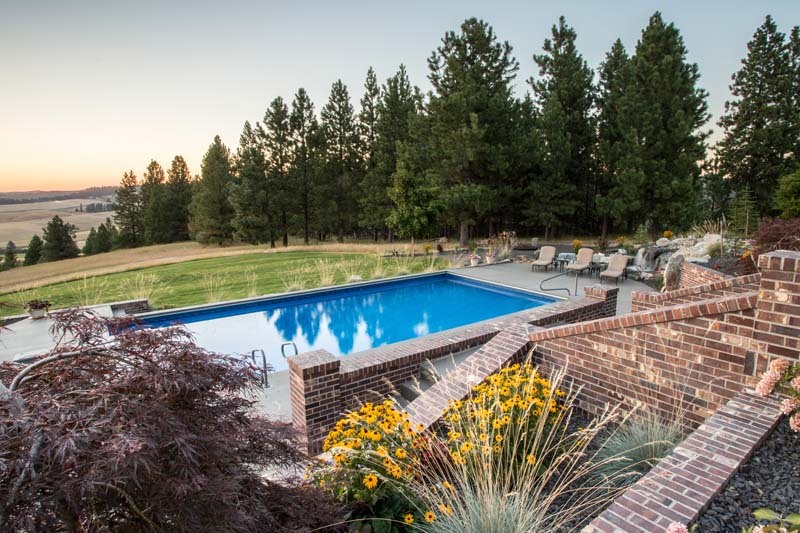 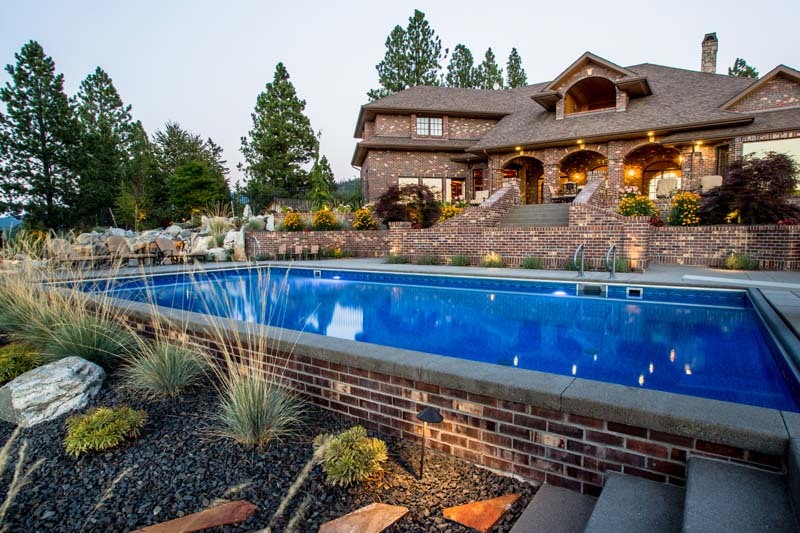 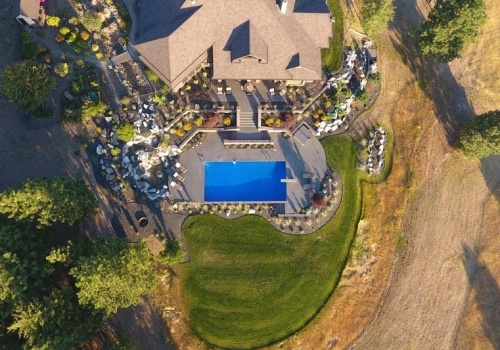 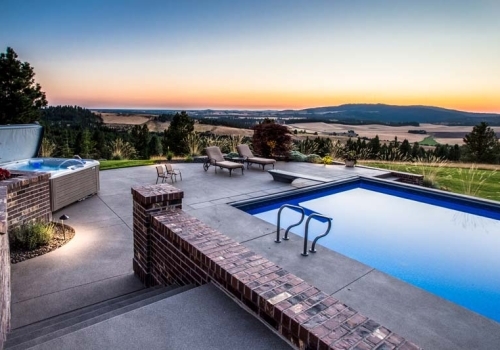 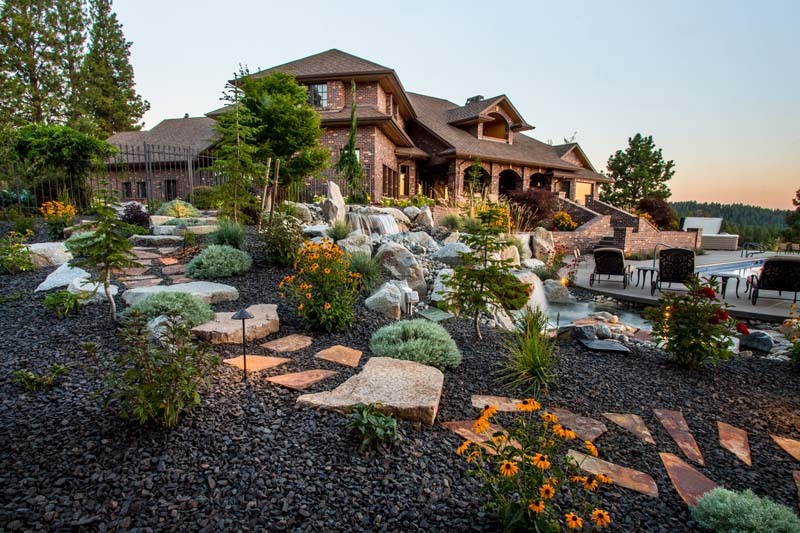 Perched on a hillside on the edge of the Palouse, these homeowners wanted a backyard that took advantage of the stellar views across the surrounding farmland. 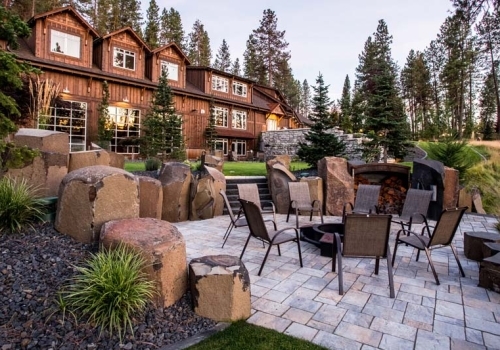 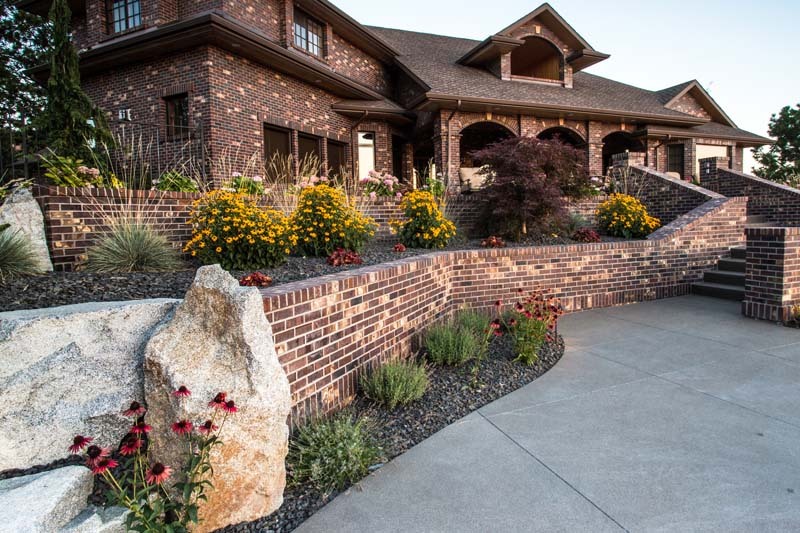 Masonry retaining walls match the brick of the house, while the landscaping complements the vistas below. 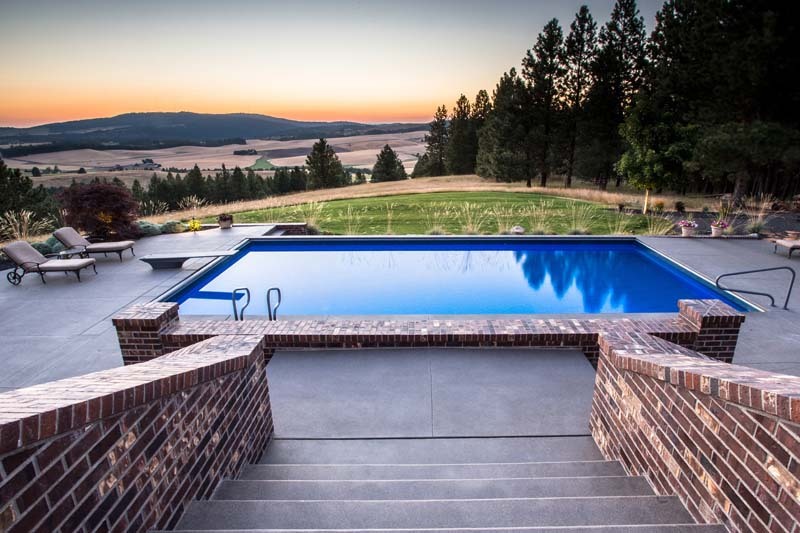 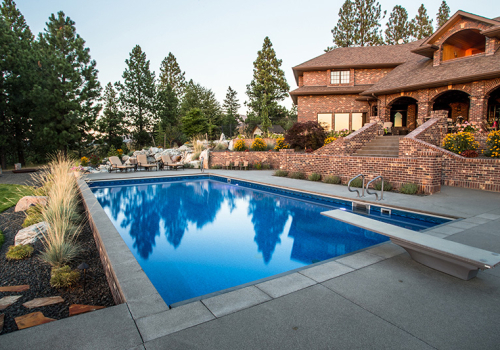 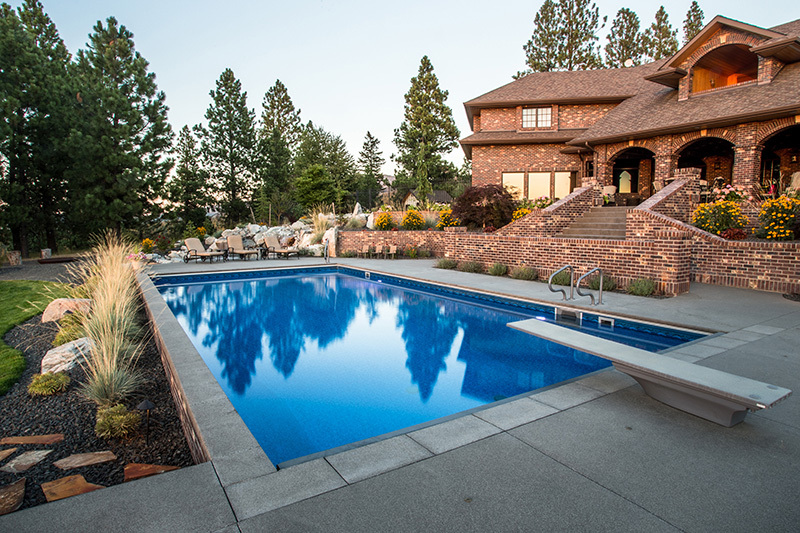 The pool is situated to take in the panoramic views surrounding the property. 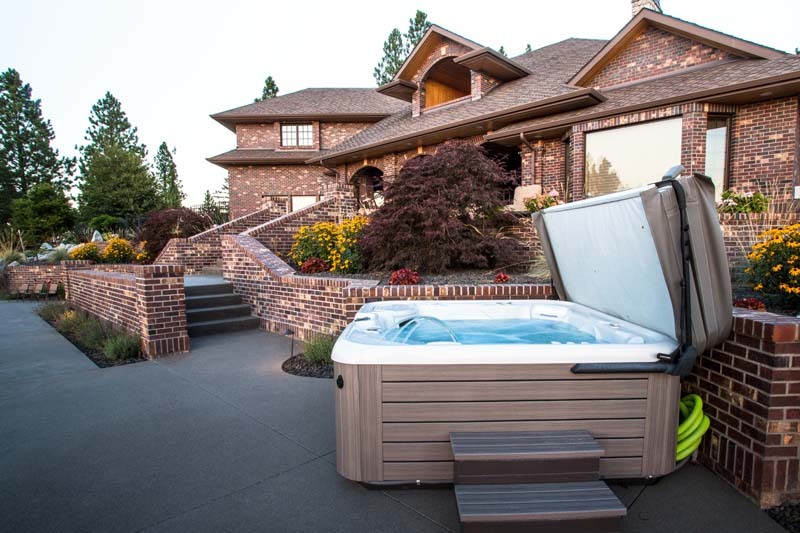 Its automatic safety cover gives a layer of protection for wandering deer and other wildlife. 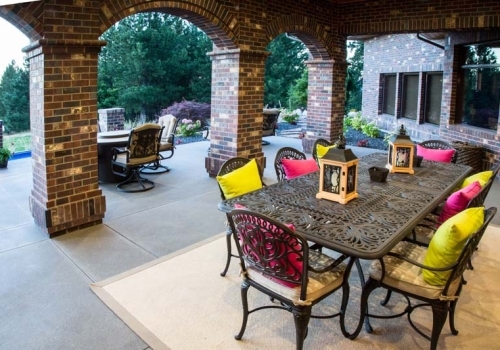 The motor and other workings of the cover are concealed by a multi-piece lid made of the same sand-washed concrete as the patio. 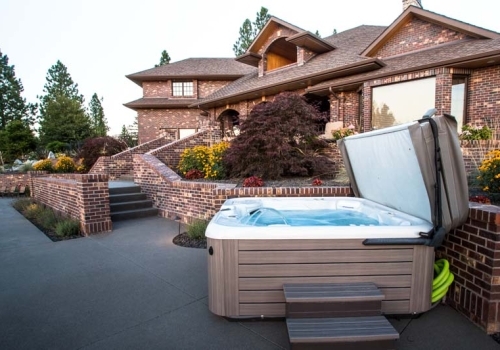 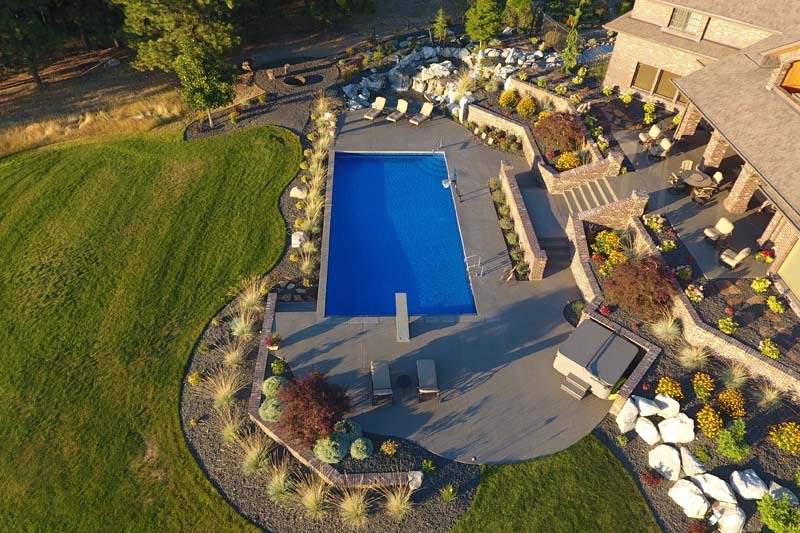 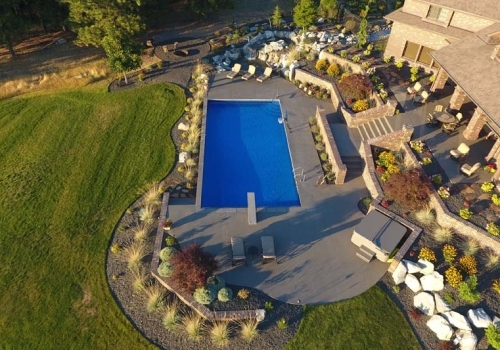 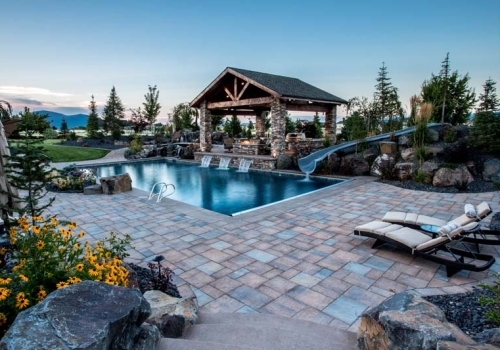 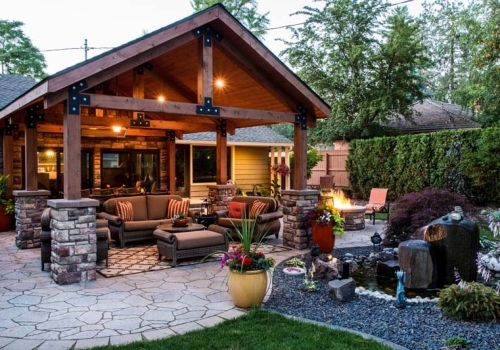 A diving board and freestanding hot tub add to the fun. 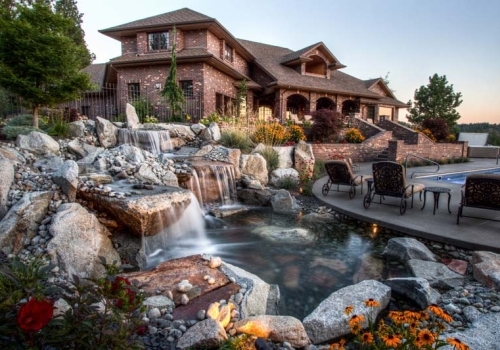 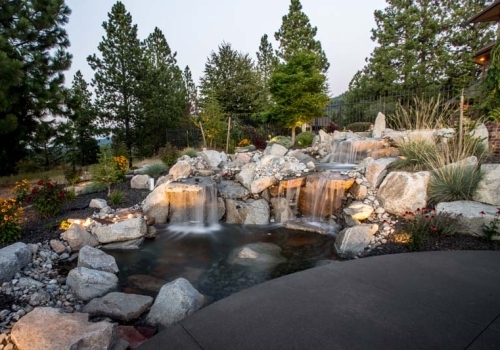 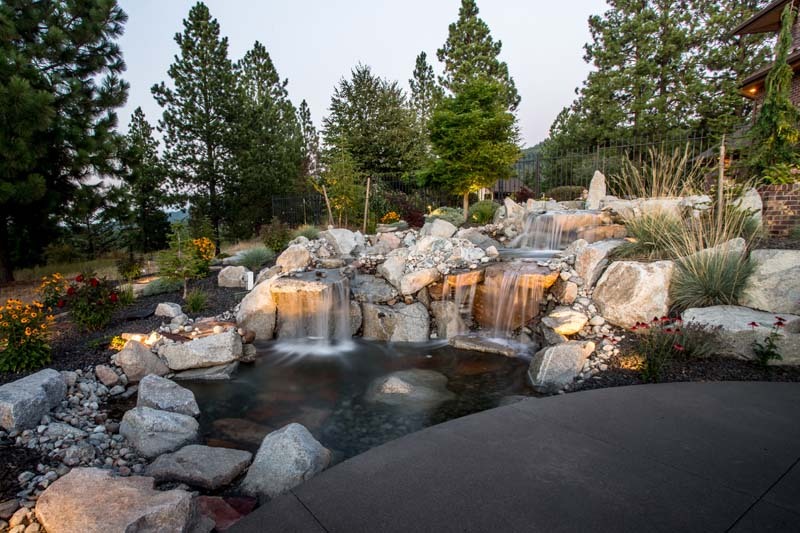 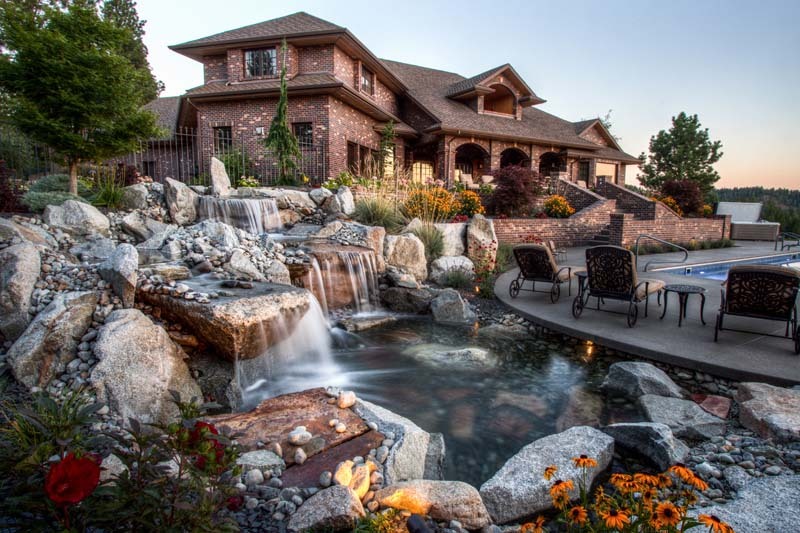 The water feature has multiple falls that cascade into a deep wading pool below. 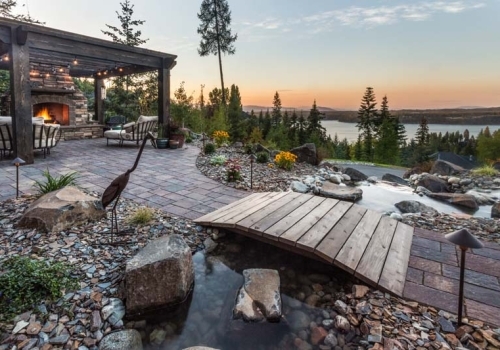 The concrete patio is cantilevered over the water for a seamless transition. 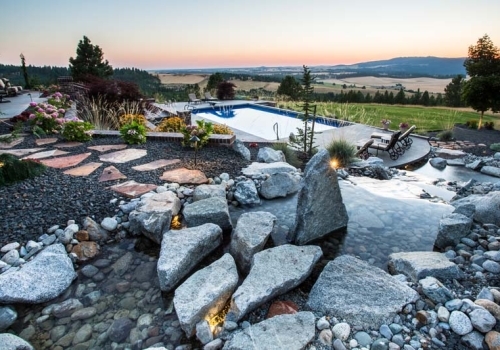 Across the top pool, boulder stepping stones continue the path to the upper patio.